View More In Coarse Salt. 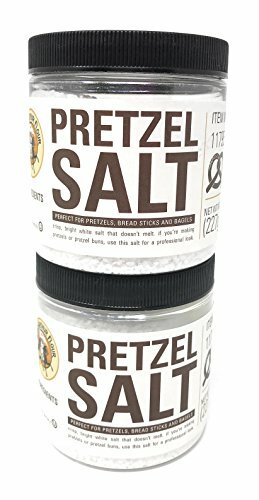 Give your homemade, buttery pretzels an authentic and savory finishing touch when you sprinkle them with this coarse salt. Bright white, large-grained, non-melting salt is ideal for soft pretzels, salt bagels, or focaccia. Pack of 2 (8 oz containers) We think it's another great addition to the King Arthur Flour family of products. We hope you do too.